Create your own Magic Butterfly to your image or that of your customers! Inform your customers and prospects, launch a new product, create an event, expand your distribution networks, revitalize your brand image. All occasions are good to surprise and impress. With average Return Rate of 20% in Direct Marketing Campaigns, a Handover Rate of more than 10 people and a Remembrance of 5 years minimum, the Magic Butterfly ® became a trendy and efficient communication tool in order to boost companies' communication, from small ones to the most prestigious ones. Discover all the secrets of an invention able to transform your communication. 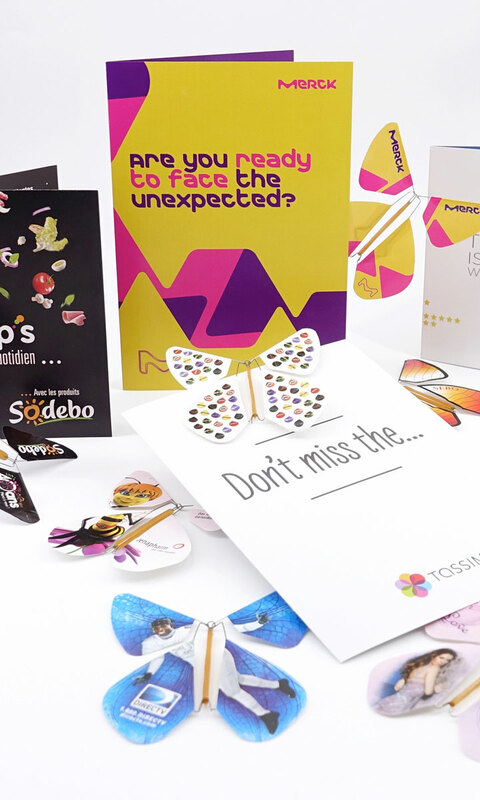 Choose designs from our special corporate range of pre-designed and successful Magic Butterflies, or create your own Magic Butterfly fully customized with your own colors, your logos (or that of your customers) and complete it with a Mailings Packs ready to be sent. This amazing Magic Butterfly is sold in over 1,500 carefully selected points of sale around the world. It is also available through a large number of wedding and events planners. 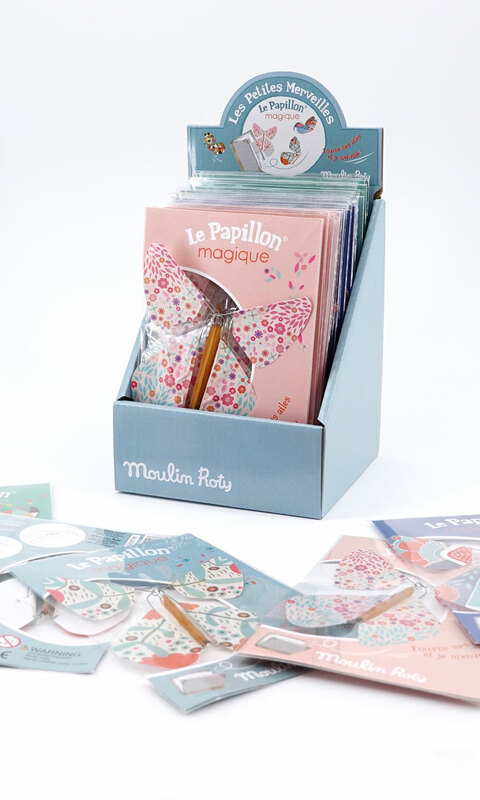 You can find the Magic Butterfly in the UK at Clinton's Cards, in Italy at Citta del Sole, in Germany and German-speaking Switzerland at Dieters and can also be bought in Spain, Switzerland, the Czech Republic, USA, Canada, Japan, etc. And here's why it's so successful: the Magic Butterfly has the power to spread a joy that touches everyone, from children to adults. It is “Generateur d’Emotions”. It is also the First Flying Concept in the history of correspondence. Magic Flyer International has developed a number of different products so that each retailer can find the ones suitable for its customers: 2 special ranges for retail (Emotion Pack and Collection Packs). Magic Butterflies are also available in bulk packaging for on-line shops or event planners who would like to supply it for the weddings or birth sector or for Magic and events market. You are a Wedding Planner, Event Manager, or Parties Planner ? Announcements Creator...? We can supply you with our invention and our know-how in order to appeal and surprise your clients with our incredible Magic Butterfly®. Ask for your starter kit Magic Butterfly® and test the incredible Magic Butterfly effect toward your clients. We will offer you a partnership program with shaped solutions and our Marketing Department will help you promoting your actions or events (visuals, videos, animated gif…).